Turn on feature in Gateway. First, choose the drop-in classes. If you are creating a new class make sure to check the box next to where it says Drop-In Class. 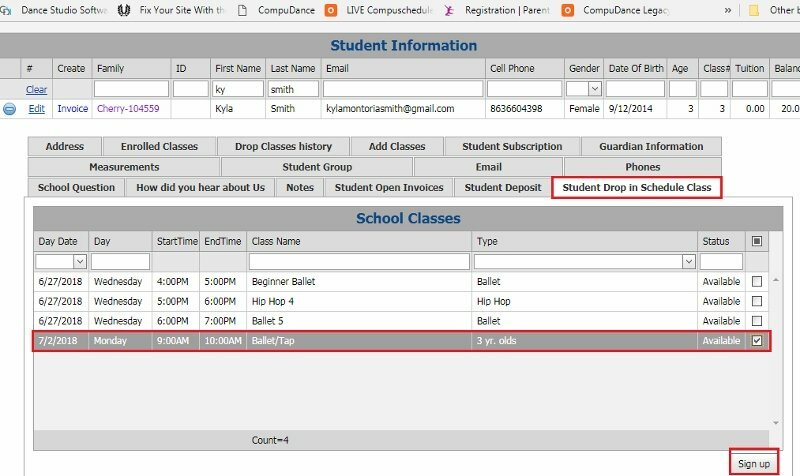 If the classes have already been scheduled you can just click edit next to the class and check off the box that says Drop-In Class and click update. After you have made your classes drop-in’s you can create your class card. Click orange tab that says Add New Card. Where it says Card Code you can put the number of classes on the card or whatever information you would like. Amount will be how much the card is. (ex. 15 classes at $18 would be a total of $270) so you would put 270 in that box. Expiration Days This is how long the card will be available for. All the numbers in the drop-down are the number of days. So if you click 90 that would be 90 days/3 months. This is when the card will expire. Click Update. You can choose to add a picture of your card or leave it blank. Once the card is created you have to link the class/es to the card. Click the plus sign next to the card name. Click the tab that says Link Classes Card. All classes that have been made “drop in” will show up here. Check the boxes next to the class/es you want to link to the card. Click on the Card Classes tab and you will see the class/es linked to the card. When someone purchases a class card from their parent portal – it automatically creates a deposit on their account. 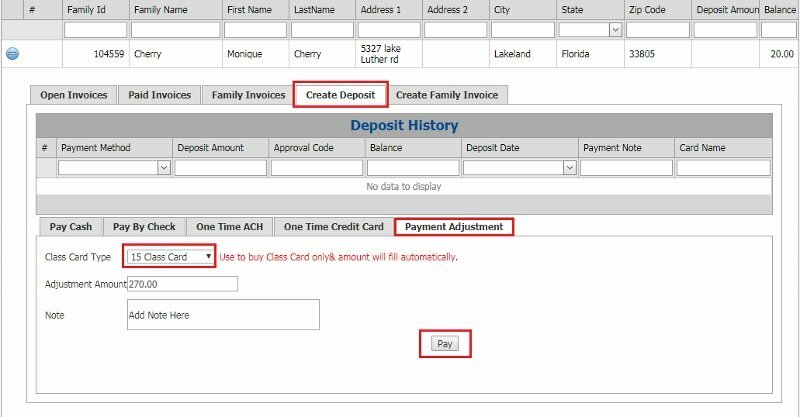 If the studio is recording that purchase of class card – it is done under Family account – Create Deposit. Once attendance is taken in these classes, anyone who was signed up for the drop in class will be automatically invoiced for that one class and the $18 will be deducted from their class card deposit. If someone would like to purchase a class card they can do this through the parent portal or in person. Click on their family name/number. Where it says Class Card Type you would choose the 15 Class Card & it will automatically fill in the amount of that card for you. You can add a note & then click pay. 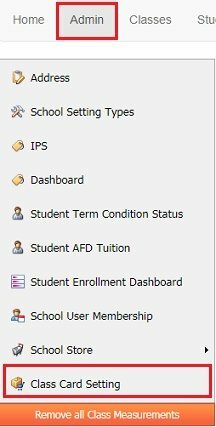 Once you add the class card to the student’s account, you can add the class/es. Search by the last name. Open the tab called Student Drop-In Schedule Class All drop-in class available will show here by date/time. Now that you have added the class/es you can click on the Enrolled Classes tab to view the student’s classes. Next, click on Drop-In Class (to the left). This will bring up any of the drop-in classes available. You can check the boxes next to the day/s you would like to come to that class and click SignIn. Coming soon: Parents will be notified when their class card is low. They will receive an email letting them know they have only 2 classes left on their card.